This non-greasy, delicately scented milk gives an immediate feeling of comfort and softness to the body while protecting the skin from aging. 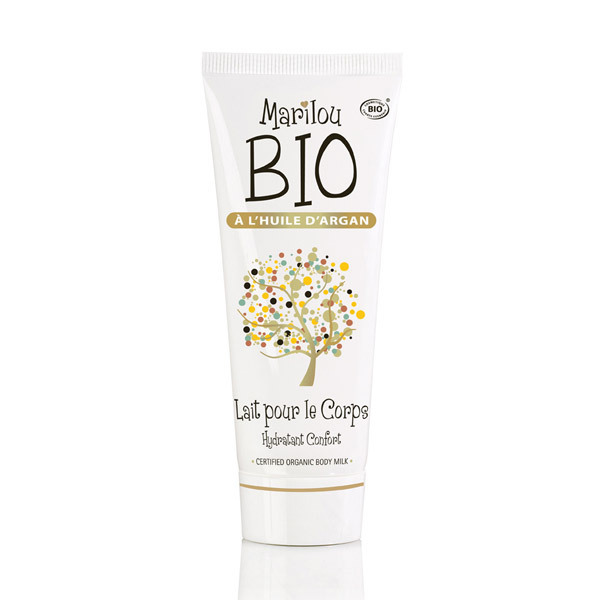 Enriched with Argan Oil and Shea Butter for a better protection of the epidermis. 100ml tube. Aqua (Water), Butyrospermum Parkii (Shea Butter) *, Glycerin, Glyceryl Stearate Citrate, Cetearyl Alcohol, Helianthus Annuus (Sunflower) Seed Oil*, Argania Spinosa (Argan) Kernel Oil*, Sodium Benzoate, Parfum (Fragrance) , Xanthan Gum, Dehydroacetic Acid, tocopherol, Aloe Barbadensis Leaf Juice Powder*, Sodium Hydroxide, Citric Acid.